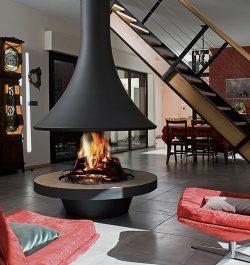 Handmade in the South of France, the Bordelet Lea 998 suspended fireplace is a central hanging wood fire with a playful 360 viewing area of the flames. 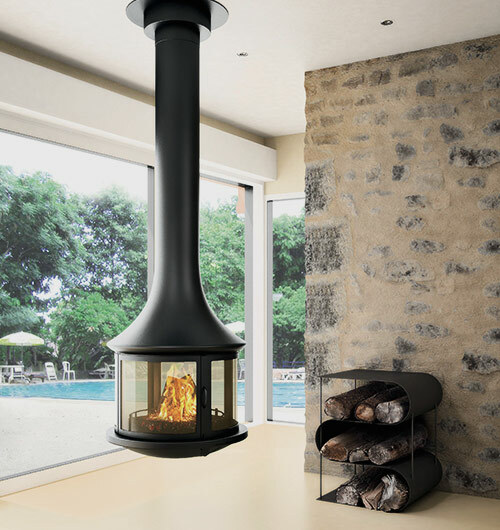 Having the Bordelet Lea 998 suspended fireplace hanging from your ceiling will warm and delight any atmosphere. Without doubt the aesthetic satisfaction that this meticulously hand sculpted fireplace brings will enhance the ambiance of any interior space with its 360 degree glass viewing area. 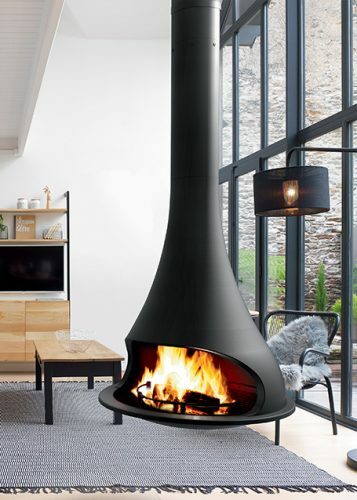 The smallest in the range, the Bordelet Lea 998 wood heater aims to excite those who seek fireplace excellence of a hanging central fire in a more petite space. Standard colours: Anthracite grey or intense matte black. *Additional colours available upon request. 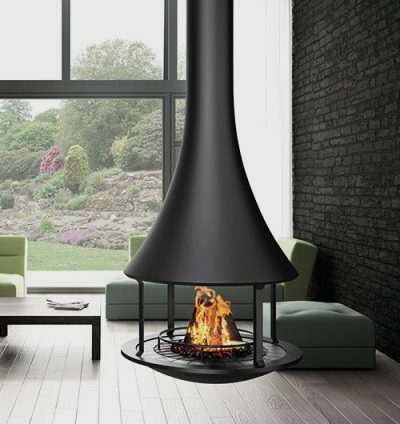 The beautifully hand crafted technique involved in creating a hanging wood fire like the Bordelet Eva 992 suspended fireplace comes through years of artisan engineering and a dedicated pursuit for fireplace excellence. Hand made in limited quantities, all JC Bordelet fireplaces are dramatically suspended from the ceiling and aim to dramatically enhance the ambiance and warmth of any living space. With a spirit that is playful yet polished, the handmade Bordelet Zelia 908 suspended fireplace is guaranteed to add just the right amount of dramatic ambiance in any contemporary space as it hangs dramatically from the ceiling.